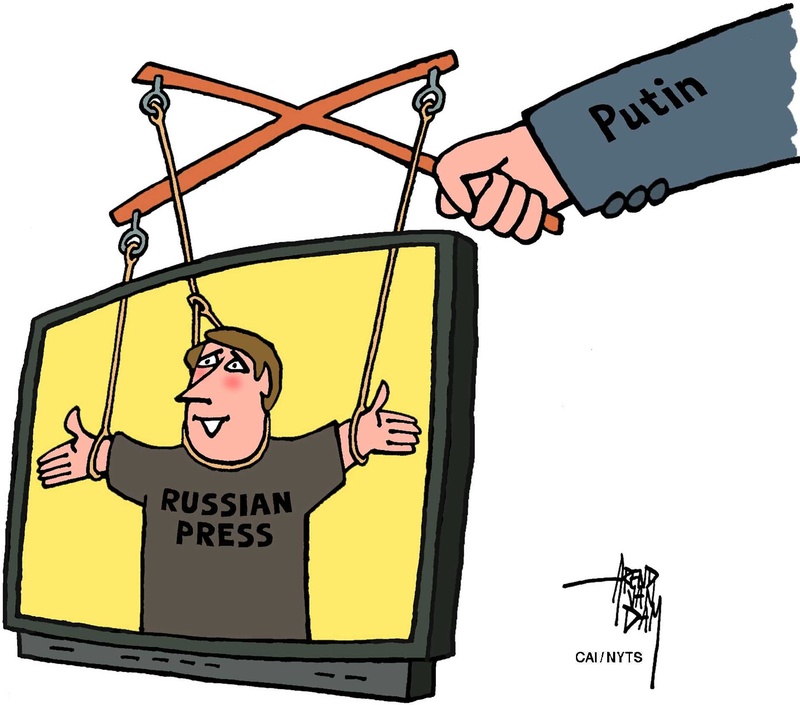 Putin built his authority on direct contact with Russian society. Early in his presidency, he would traverse all of Russia’s 11 time zones promising — and often delivering — real income growth, better infrastructure and national renewal. In fact, the recent press conference — the 14th of its kind — looked a lot like another of Putin’s oft-repeated public performances: “Direct Line,” a live broadcast in which he answers (scripted) questions from Russians. But amid falling living standards and increasing global hostility, Putin’s televised promises simply don’t fool anybody anymore — and not just because of falling confidence in televised news broadcasts (from 79 percent to 49 percent over the last decade). Russians also have their doubts about Putin’s leadership itself, as reflected by a sharp decline in his approval rating, from over 76 percent to 66 percent in the last six months. Only 56 percent of Russians say that they would vote for him if an election were held tomorrow. Of course, this is not news to the Kremlin, which has been attempting to change its tactics to get voters back on its side. Instead of counting on Putin’s personal pledges and performances, the authorities have increasingly focused on technocratic indicators of Russia’s development, while playing up the threat posed by the West. The United States, Kremlin-controlled media warn, is withdrawing from decadesold nuclear agreements specifically so that it can nuke Russia. Add to that stories of the horrors of World War II, and complaints about living standards will seem trifling by comparison, the Kremlin hopes. But Putin may not be taking the challenge he faces seriously enough. During his third presidential term — he is now on his fourth — he focused more on defending his entourage from accusations of corruption or indifference than on keeping ordinary Russians happy. In true Soviet style, he remains more afraid of a palace coup than a public uprising. His landslide victory in last year’s presidential election reinforced this inclination, as it fed into the classic assumption of the long-standing autocrat: The public will love him no matter what. The problem with a semi-authoritarian regime like Putin’s, however, is that people’s behavior is not fully under the leader’s control. And, in today’s Russia, this extends to the news media, which report far more often — and more boldly — on social challenges, and the anger they stoke, than outsiders might expect. The Russian state never actually demanded a positive spin on coverage of social issues. So, when it comes to such issues, the level of free speech is akin to the glasnost (openness) of the 1980s. Even as media outlets toe the official line on topics relating to Ukraine and the West — not to mention popular protests led by opposition leader Alexey Navalny — they still highlight people’s frustration with salaries, pensions, housing and parking rules, and taxes, among other issues. 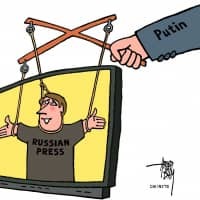 Headlines about Russians’ “loss of faith” in their government, for example, have made it into newspapers such as MK and Kommersant, and onto television networks like NTV. This is no anti-Putin conspiracy; rather, it is the Russian media doing its job, to the extent that a semi-free press can. Russia’s news business is, after all, a business — one that needs customers to survive. So as media shift away from anti-Western propaganda and stories glorifying the past — which they, unlike the Kremlin, recognize is no longer what readers want — they are not just reporting on social issues; they are concocting their own sensational, audience-attracting doomsday headlines. Patriotism may be out, but alarmism is still in. The national newspaper Vedomosti — by no means a liberal outlet — recently reported that Russians today don’t want “survival, but self-expression.” They want “protection by the law, respect and a peaceful foreign policy.” Putin missed it because he only instructs the press; he doesn’t read it.